South America is famed for its cuisine, but the award for the region’s Leading Culinary Destination has been handed to Peru. Beating off stiff competitions from countries such as Argentina, Chile and Brazil, Peru was presented the accolade at the Caribbean and The Americas ceremony at the World Travel Awards, set up to ‘acknowledge, reward and celebrate excellence across all sectors of the tourism industry’. The winners are voted for by consumers, who nominate from a list compiled by travel experts. Due to the icy Humboldt Current that flows through the Pacific Ocean just off Peru’s coast, the country benefits from one of the world’s most bountiful sources of seafood. Ceviche comprises raw fish, citrus-cooked by marinating in Peruvian lime juice, raw onions, and chilli. . The acid in the fruit “cooks” the fish, giving it a delicate flavour and slightly chewy consistency. It is usually accompanied by some corn (on or off the cob) and a slice of sweet potato, which provides almost perfect balance to the acidity of the leche de tigre – the citrus marinade. Visit any market in Peru and you are sure to find two things—hundreds of varieties of potatoes and piles of the biggest avocados you’ve ever seen in your life. A traditional Peruvian causa layers these two ingredients into what could be described as a sort of casserole, only sliced and served cold. Bright yellow mashed potatoes seasoned with lime and aji is layred with tuna, shrimp, or crab and topped with avocado and a creamy cocktail sauce, making for the ultimate comfort food. 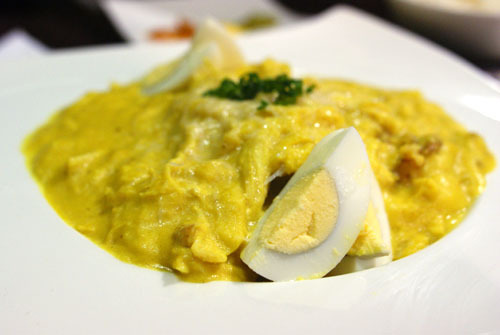 Aji de Gallina is a hearty chicken dish gets its enticingly yellow hue from the spicy ají amarillo chilli pepper, which adds its colour and mild kick to several dishes in Peruvian cuisine. This rich, velvety stew is made with chicken and condensed milk that is thickened with de-crusted white bread. The heat of the peppers is softened by the liberal dose of evaporated milk. For a vegetarian alternative, the ubiquitous papa a la huancaina, boiled potato is often used. ANTICUCHOSAnticuchos are skewers of grilled, marinated beef hearts (much like shish kebabs), which trace back to the days when Peru’s Spanish conquerors would consume a cow’s choicest cuts and leave the organs for their slaves. They are served all over Peru, from the high-end restaurants that offer them as appetizers to the street-cart vendors that sell them slathered in a garlicky sauce. These Peruvian kebabs are extremely rich – and tasty – but more than one might have your temperature rising through the roof. Lucuma is a tree fruit that looks like a little like a mango, but tastes more like custard, with a hint of maple syrup. While Peru’s cuisine is mostly famous for its spicy and savory dishes mains, the Peruvians themselves adore desserts and often use this fruit as a flavouring in cakes and drinks. 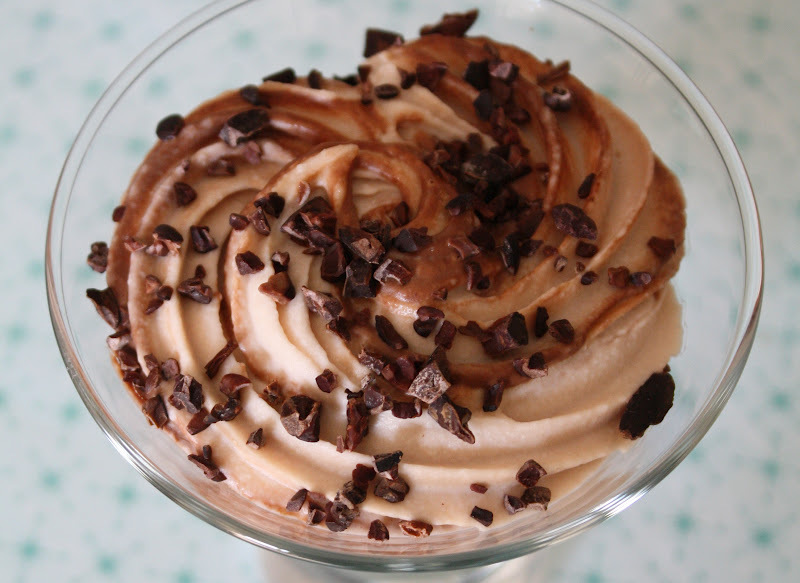 Try lucuma ice-cream, lucuma parfait or lucuma smoothies for the best of this delicious native fruit.